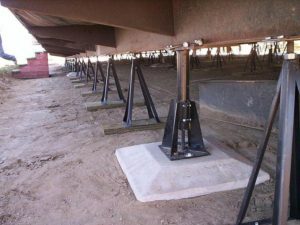 Laser ReLevel, Inc has been re-leveling manufactured, modular and mobile homes for over 25 years. We level your home using the most accurate tools available, lasers! Our technicians will adjust your home foundation to make it level and like new again. All of our work is done by highly skilled and motivated craftsmen. We go the extra mile and do our work for the price we quote you. We offer a standard 30 day warranty on all re-leveling work. This is the actual laser that we use to level your mobile home. Manufactured home builders recommend re-leveling and maintaining raised home foundations every 3 to 5 years. Manufactured homes can weigh 70 thousand pounds or more. 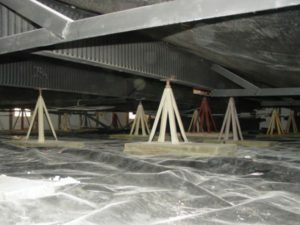 The weight of the home is distributed on individual piers which sit on pads underneath the home. Piers and pads over time can deteriorate, rust, sink or break. When this happens the weight of the home becomes unevenly distributed. The uneven weight distribution can result in structural damage. 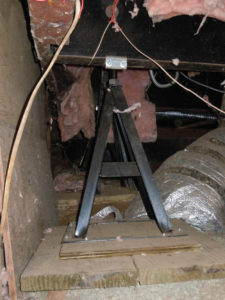 You can usually tell if the foundation needs repair or service work. 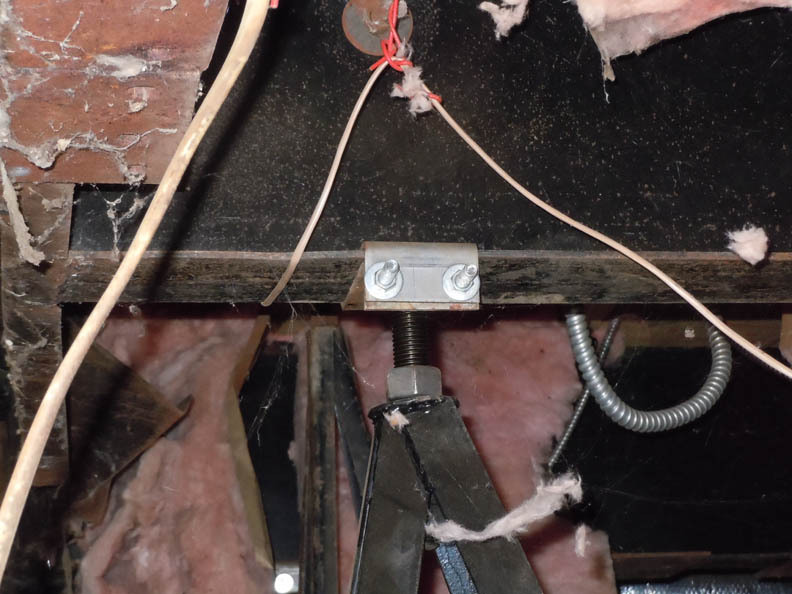 Visual evidence is seen with cracked walls, uneven floors and doors sticking. 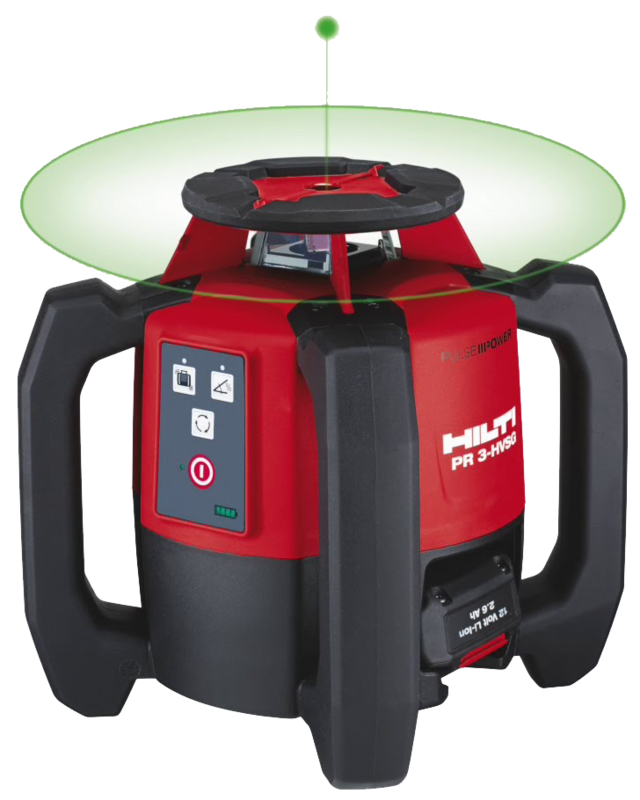 When our technicians arrive they will inspect and assess the levelness of the foundation using a rotating laser. The laser shows the stable high areas and the sinking low spots. After determining the correct height for the foundation to be set at, the home is raised using hydraulic modular home jacks. During this process the technicians evaluate the structural condition of the tops, piers and pads underneath the home. 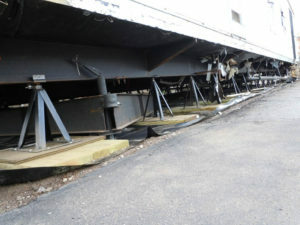 If we find deteriorated or failing parts, we will recommend their replacement. © Copyright 2005 - 2018 Laser ReLevel, Inc | Lincense B/C 47 #957123, All Rights Reserved.